Christmas is the perfect time to spend some fun with the ones you love. One of my favorite holiday traditions is to have a movie night and watch all of the holiday movie classics. 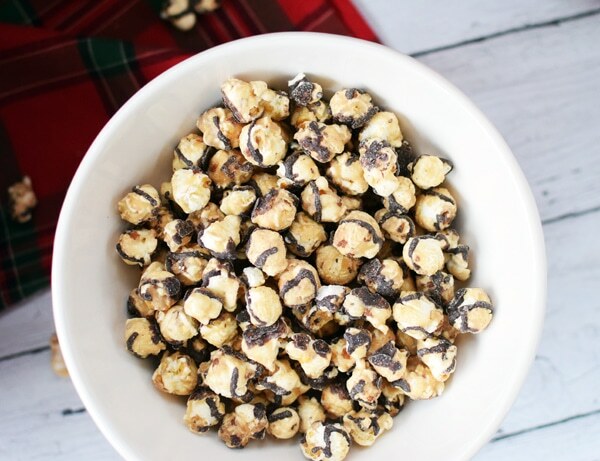 We all gather in the living room near the Christmas tree in our holiday pajamas, snack on some flavored popcorn and drink hot chocolate. I can’t think of a better way to celebrate the upcoming holiday! This year, I thought it would be fun to make a DIY Holiday Movie Treat Basket for my family. You can’t have a movie night without popcorn, so Pop Works & Company was the first thing I added to my treat basket. 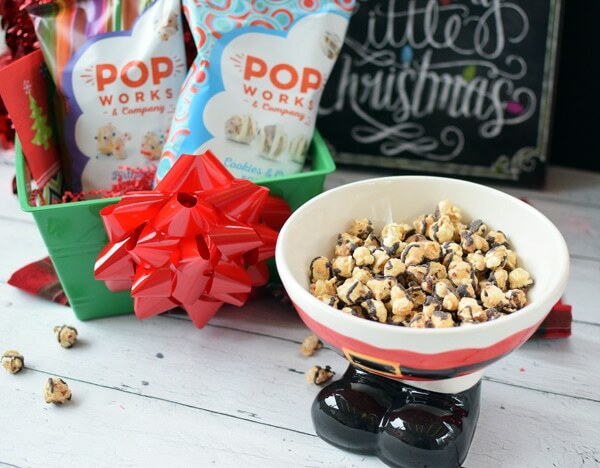 Pop Works & Company starts with light and airy popcorn, adds sweet glazes and drizzles and sprinkles bits of sweet treats over the top resulting in three delicious flavors: Cookies & Cream, Salted Caramel & Fudge, and Birthday Cake. YUM! Pop Works & Company is sold exclusively online and you can choose one of your favorite flavors or “Build a Box” by mixing and matching all three flavors. 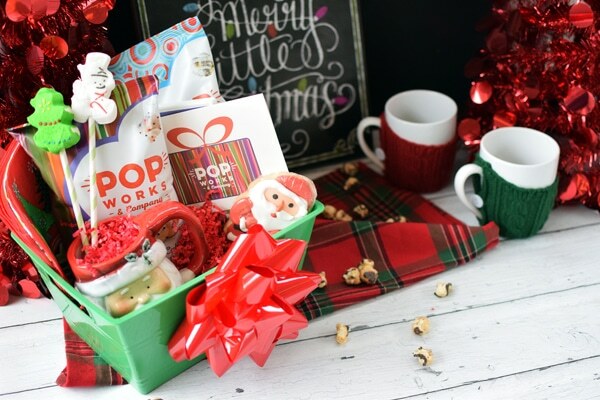 Pop Works & Company is offering an introductory price of $15.99 on its Pop Box, a colorful and versatile box which can be filled with the 3 different popcorn flavors. They’re also offering free 2-Day shipping through New Year’s Eve. 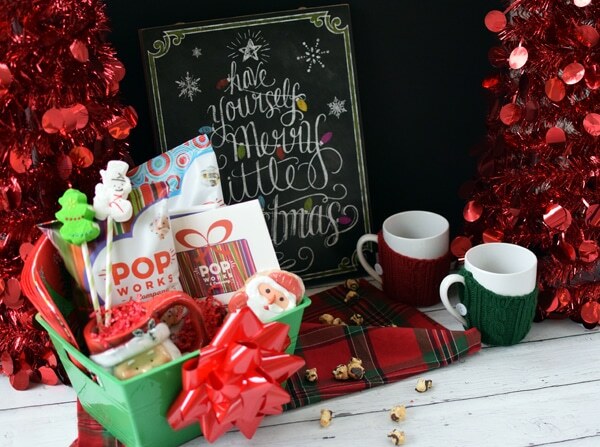 Pop Works & Company makes the perfect holiday gift or serve it at your holiday gatherings this year. 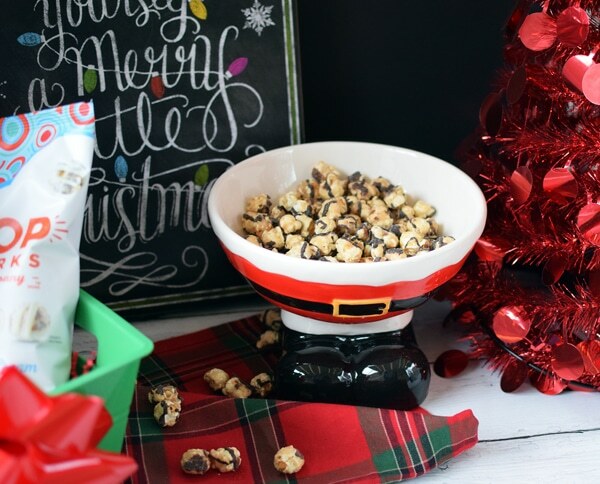 Pop Works & Company popcorn takes your traditional party favorite and turns it into something unique and delicious. It’s the perfect things to serve at any party or gathering. 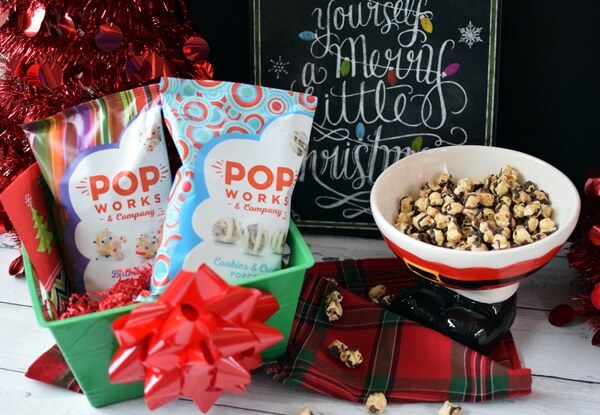 If you’re looking to put together a fun movie treat basket for your family this holiday, some things you can include are Pop Works & Company popcorn in the flavor or flavors of your choice, a special holiday movie, hot cocoa, marshmallows, festive holiday napkins, and mugs for hot chocolate. 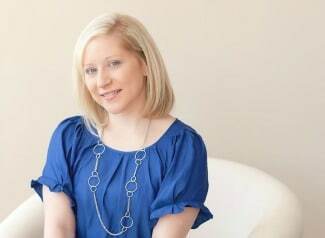 You can also include a holiday card telling your family about the fun movie night you have planned for them! Add some paper shreds and a festive bow and you have yourself a fun DIY holiday movie treat basket the whole family will love! What Pop Works & Company flavor will you try: Cookies & Cream, Salted Caramel & Fudge, and Birthday Cake? Let us know in the comments below! Happy Holidays!